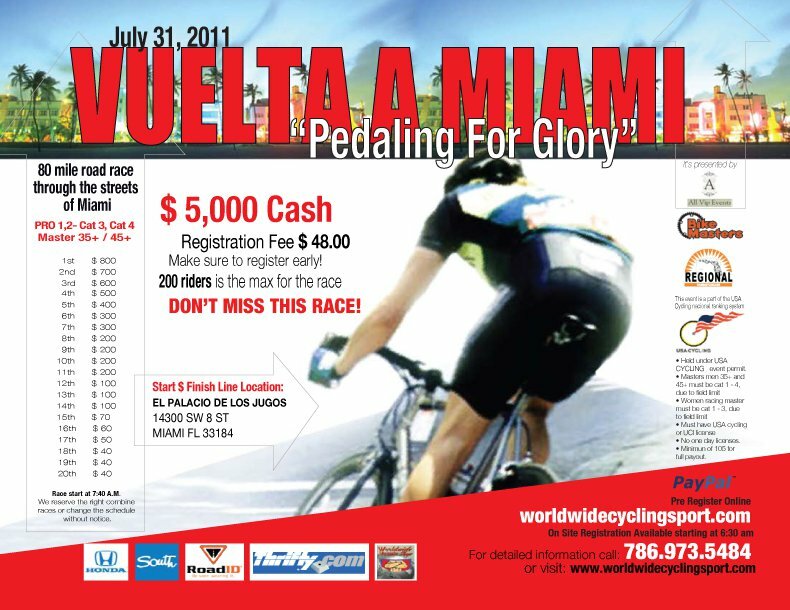 The third event in the series, Vuelta a Miami, is an 80 mile road race through the streets Miami! Visit World Wide Cycling Sport for more information. I think this race has been cancelled. Thanks for the tip Marcos. Unfortunately the race promoters never notified me of the cancellation.